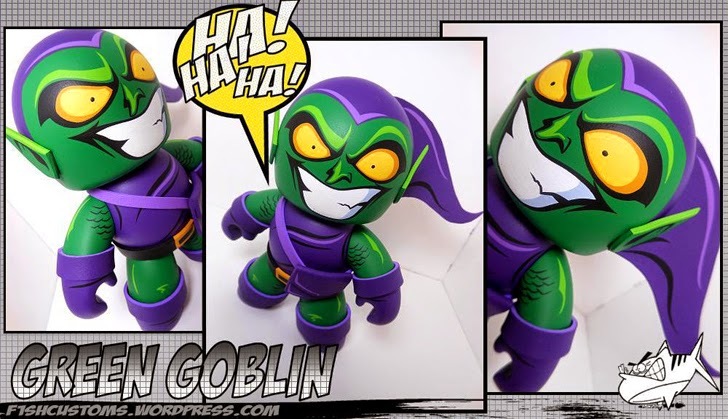 Green Goblin is a villain who first appeared in Marvel Comics The Amazing Spider-Man #14, July 1964 by Stan Lee and Steve Ditko. Norman Osborn, an industrialist is the supervillain, a Halloween themed enemy of Spider-Man. Actor Willem Dafoe portrayed him in Spider-Man (2002). The Mighty Mugg above portrays him in his classic evil look.